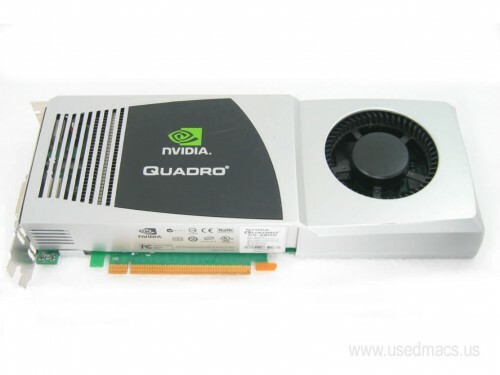 Nvidia Quadro FX 4800 PCI Express graphics card for the Mac Pro. Compatible with MacPro3,1, MacPro4,1, and MacPro5,1. Features 1.5MB of GDDR3 SDRAM. Two dual link DVI outputs support two 30 Inch displays at full resolution (2560x1600). For more information see the Nvidia web site. This used Apple Graphics card is in good working order with a couple minor marks from previous use. Includes a power cord.